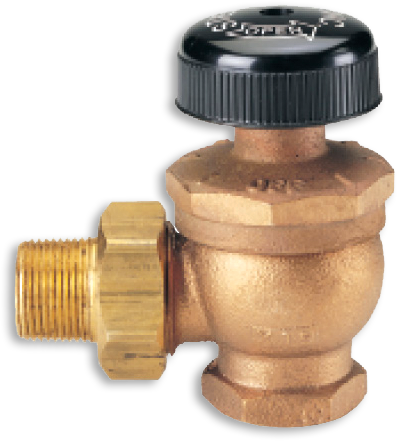 Sterlco® Radiator Valves feature practical, simple styling for your steam or hot water heating systems. The solid, rugged construction assures long serviceable life. Available in several different body patterns, these valves provide flexibility to meet the needs of your application. Supply valves for a two-pipe system are the globe type and are made in a number of different patterns; angle, straightway, right hand or left hand. Installation for the system is made at the inlet connection. The angle pattern valve is most commonly used because it is easily adaptable to most heating unit installations. When the inlet connection is below the unit, the straightway pattern is installed in a vertical connection to a convector. Who Choose 518/523/511 Radiator Valves? Solid, rugged construction resistant to strains during installation insures a long servicable life.